Last week we published first video footage of a new Android 5.1.1 lollipop Firmware. Now we have some more details about hardware side and device structure. 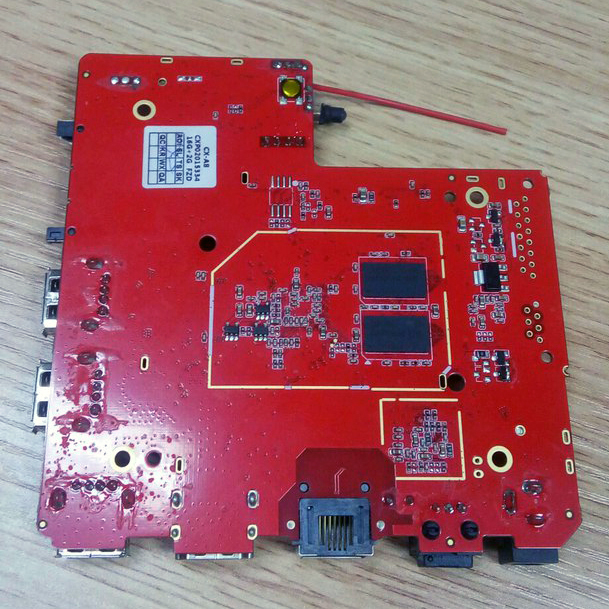 Just remind that Amlogic S905 will be a heart of new device. 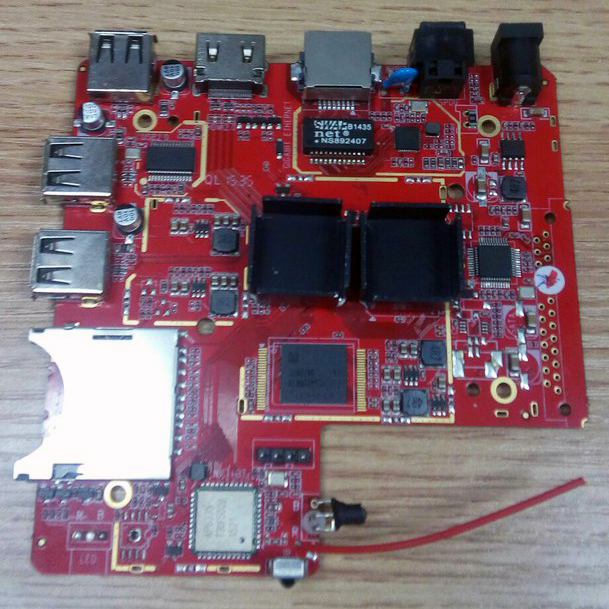 64bit quad core ARM Cortex-A53 chip with four cores can show us up to 2.0GHz. New CPU works in pair with Penta Core Mali-450MP video processor. That GPU offers up to 750MHz on their top of productivity. This tandem should demonstrate us a new level of playback quality and high gaming performance in conforming price level. Youtube Video shows us rather smooth screen movements and good antutu video benchmark tests. Test device has 2Gb of DDR3 so device feels no lack of RAM. In future 4Gb versions possibly will appear. As you can see RAM covered with heatsink from the upper side. Lower side shows us another two RAM IC so we can see Label: Samsung 431 k4b4g1646d BCMA. Another heatsink hides SoC. Samsung Emmc is also noticeable near the RAM heatsink. Gigabit Ethernet port powered by Realtek 8211f with transformer is widespread and reliable solution. Bluetooth sticks together with WIFI module in the same AP 6335 chip. Bluetooth 4.0 supports Low Energy mode, WIFI has 2.4GHZ and 5GHZ frequencies and 802.11 b/g/n and a/c modes. 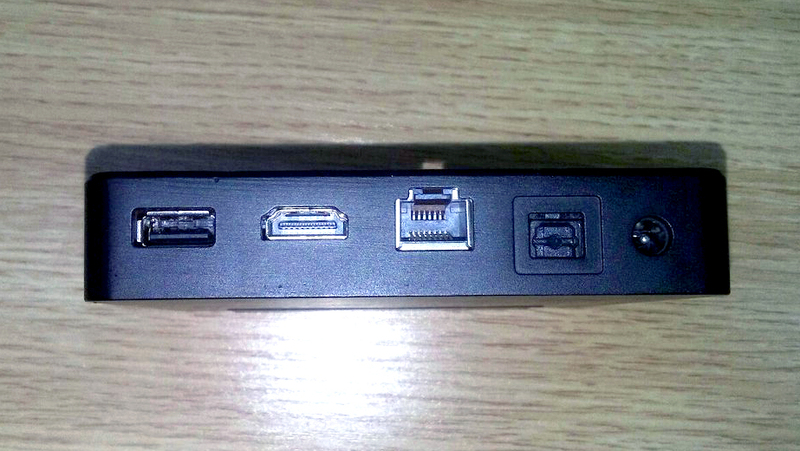 Device has 2 USB A-type and SD card slot on the left side and one more USB on the back side. 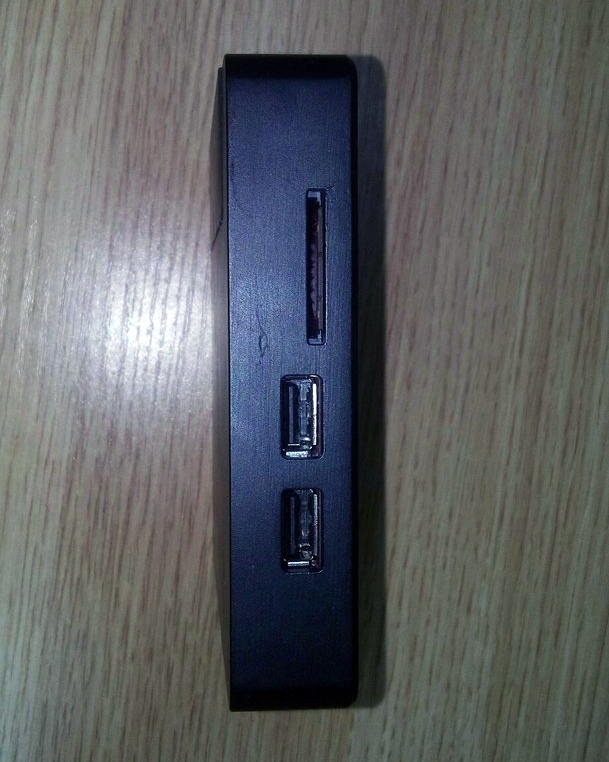 Next to USB on the back there is a HDMI 2.0 port, LAN port, SPDIF and power connector. Device uses 12V power block so there will be no any problems with external devices. Serial device look will be very similar with that photo, maybe there will be some slight changes. Ugoos AM1 and UT4 boxes release.